These months keep on ticking by. I’m now on my third post this month, and in all seriousness I am trying to post once a week. What have I managed in November? Well, my cycling has been well down as I took a week off in Whitby, as can be seen in the monthly training map below. You can see the usual blob of rides around Lancaster, along with my commute. There was also plenty of runs around Whitby and a new parkrun in Dalby Forest, which was great. In the month I completed three parkruns and an open water swim, the Firework 500, which was damn cold. 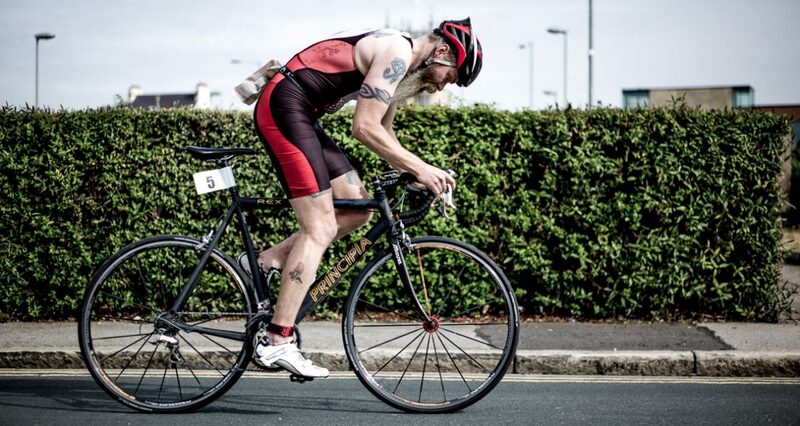 If you’re in the area I would recommend My Tri Events, as they put on great races. I completed another seven Strava challenges, even though I missed out on two running challenges and the cycling distance one. This takes my total up to 263. I also added another 41 explorer tiles and another 77 segments. Eddington wise, nothing much changed, so I’ll leave that to next month. Last weekend the City of Lancaster Tri (COLT) Club had their Christmas do, and I was made the Mens club champion, all because of my continuous triple Ironman distance race earlier in the year. The trophy has pride of place on my ‘trophy’ shelf, along with my medals, which are now proudly on display, as you can see below. Another Beards of Bowland ride with myself and the Prof saw us heading off road across Salter Fell in the snow. Near Lancaster there is a huge area reserved for Grouse shooting and hence is completely out of bounds for cycling, even when it’s not shooting season. To me this seems to be a waste and therefore a preserve for a very small minority. All is not lost as there is one track across Salter Fell that is open to bikes. We set off from Lancaster with nice weather, heading over the Trough of Bowland, through Dunslop Bridge to Slaidburn. Just as we reached the last gate on the road the snow started to fall, which coincided nicely with the toughest part of the ride. The track gets steep and is covered in rocks making it impossible to ride. Fortunately this section doesn’t last too long. The Prof is far better with a camera than me, and I would have liked to have taken more, but that meant taking off my gloves. As you can see we were enjoying ourselves at this point. As we headed down the other side of the Fell the snow cleared. As we reached the end of the track and returned onto the road for the descent into Roeburndale it started to rain, and rain hard. We were soon very cold and wet. The Prof suggested a cafe stop in Wray, but we decided to crack on for home along the cycle track back into Lancaster. One last section of rufty up Grimshaw Lane and past the prison and I was home. It was a good ride, as always, but the route is probably more enjoyable in the summer. Last month I spent a great weekend in Liverpool for the British Beard and Mustache Championships (post to follow soon). I have cycled to Liverpool a few times in the past and have always stayed at the Youth Hostel. The only problem is that while the route is almost totally flat the roads are far too busy. This time I decided to not take the direct route and head along the Leeds to Liverpool Canal towpath for some of it. It would also be the first proper outing for my new bike, a Trek 920, loaded up in the photo below. The bike was bought from The Edge Cycleworks in Lancaster, and comes with front and rear racks, hydraulic disk brakes, enough mounts for four bottle cages and 2 inch wide tyres. The first part of the ride was a bit boring, getting through Preston, but once I hit some small side roads it was more fun, and onto the towpath the bike really came into it’s own. Nimble and responsive, even with two full panniers and a top box at the front. The towpath was also the best way to travel into Liverpool, no traffic and amazing views. I took my time and didn’t push it too hard, arriving in Liverpool in less than five hours, including a few stops. I was then pleasantly surprised by the cycle shed at the Youth Hostel, which was new and included a track pump and tools. The Saturday morning I made the most of being in Liverpool by taking part in a local parkrun, where to get there I had to run through Toxteth, which definitely wasn’t as bad as it used to be. Not a riot in sight. I was a bit slow at the parkrun, partly due to cycling 100km the day before, as well as having too many beers the night before. Sunday morning, after the beard shenanigans, I set off only to find that my front tyre was flat. I suspected that it was a slow puncture, so I pumped it up and hoped for the best. The weather wasn’t great as I headed up the coast through Crosby, Formby and Southport.The red lines are my route to and from Liverpool, and the blue is where I ran on the Saturday. It was raining hard at this point, so instead of stopping for photos I pushed on home, only stopping for a few minutes when I had less than 20 miles to go. I was tired and wet when I reached home, but very happy with the bike, especially as the tyre had remained inflated. A couple of days later I noticed that both tyres were flat, so since then I have got The Edge to convert it to tubeless, which so far has not resulted in any punctures. Here’s to many more adventures on my Trek 920. Another month of training completed, another 5 Strava challenges ticked off, although I did miss out on 3 running challenges as I’m still struggling with a heel injury. It’s not stopped me altogether, as I did run parkrun 4 times, 3 in Lancaster and once in Princes Park, Liverpool. (I was in Liverpool for the British Berad and Mustache Championships, post to follow soon). Using Veloviewer you can see where I was during the month. Up to Staverley in the Lakes, Liverpool and my usual commuting near Wigan. I did get to some new places as my explorer score has added another 52 tiles, and my total number of segments is up another 200 to 10504. My Eddington scores are mostly unchanged, although for km it is now up to 140. As for the yearly Eddington score, they are, 55 miles, 70 km and 980m for climbing. As I said earlier, I completed 5 more Strava challenges, which brought my total up to 256, which I would love to know if it is a record.